A simple version of our understanding of the role of giving in the life of a Christian believer is that God is generous to us, promising to provide for our needs and asking us to give back a portion of what He gives to us. This discipline of giving helps us to maintain the gratitude of heart that is so vital to our spiritual growth. The ministry of Silver Valley Community Church is dependent on the generosity of the people who make this their home church. As a church we also tithe a portion of all offerings that we receive to various ministries. SVCC is now building a compassion fund to help those in our congregation who may be in need of additional support. To contribute to this fund simply add a note or comment along with your donation specifying how much of your gift you would like to see go towards this fund. You are not permitted to specify specifically who you would like to see supported by your gift, however please contact us with details of someone you know of that SVCC should consider helping with this fund. 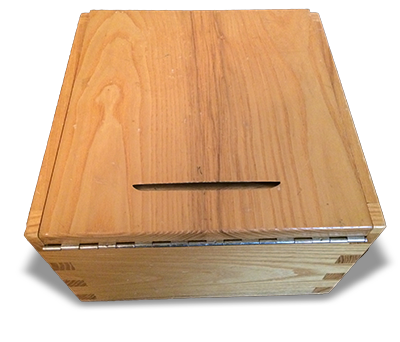 We don’t take an offering during the service, but we have an offering box available on the Information Table at the back where people can give financial gifts to the church. There are envelopes there which we would appreciate you using. These help us keep track of donations so that we can issue donors a charitable giving receipt (we produce receipts in January of each year for donations made during the previous year). If you desire to give to a specific mission or project other than the churchs general fund, you can do so by making your wishes known on the envelope itself. Please ensure your Security Question ANSWER is the one mentioned in our weekly Church Announcements. Usually your bank will charge you a small fee for sending an eTransfer. If you desire to give a portion of your gift to a specific mission, project or our compassion fund, other than the church general fund, you can do so by making your wishes known by including a message along with your eTransfer. If you would like to use your VISA or MC to make a one-time or re-occurring donation then please use the button below to pay with Tithe.ly. By default your donation will go into our General Fund, however you may also choose to "Give To" one of Missionaries, our compassion fund or to the Deroche Retreat Centre Project. There is also a Phone/Tablet app provided by Tithe.ly that is available for iOS and Android devices.